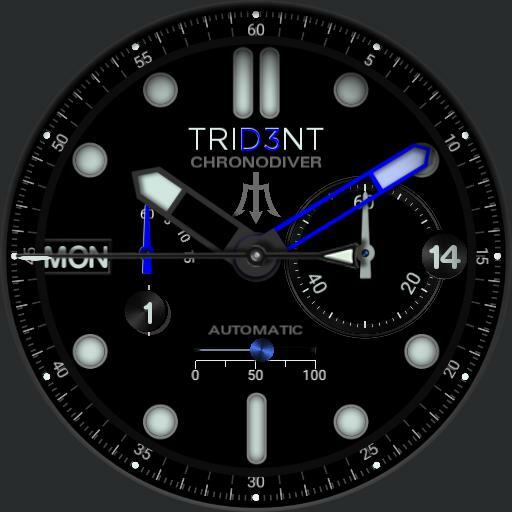 Chrono diver SW start/stop on right SW minutes dial. SW reset on left SW seconds dial. Center tap for hands sweep to 12 oclock. Battery level depletion bar at 6 oclock. Current month numeric in dial below SW seconds.